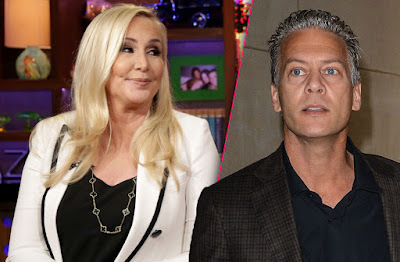 iRealHousewives | The 411 On American + International Real Housewives: Shannon Beador’s Estranged Husband David Will No Longer Appear On RHOC Amid Divorce Battle! Shannon Beador recently announced that production of The Real Housewives of Orange County had started for the upcoming thirteen season of the Bravo hit reality show. While the show will highlight Shannon's divorce from her estranged husband David, it's been reported that he will no longer appear on the show. “It is true Shannon wanted him off. She wants to just move on with her life,” a source close to production told Radar Online. The site claims that the former RHOC husband “didn’t want to be in the spotlight to begin with,” but is extra nervous now that his marriage has officially failed before viewers’ eyes. “He really doesn’t want the attention while going through this divorce with Shannon,” the insider explained to Radar Online. As previously reported, David has already moved on with much younger girlfriend Lesley Cook.